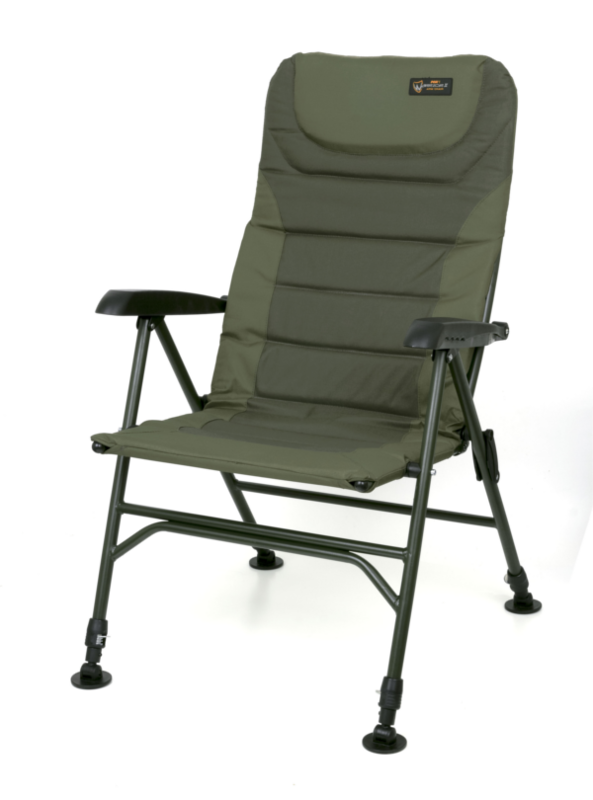 The Fox Warrior 2 XL Arm Chair is made of 100% polyester with a soft 100% polyurethane padding. All legs are fully adjustable and feature mud feet for optimal stability on all types of terrain. 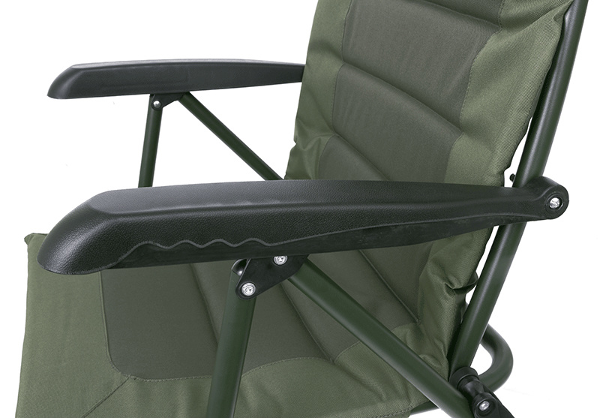 The chair also has comfortable arm rests. The Warrior 2 XL Arm Chair is extra large which provides you will maximum comfort when fishing. The perfect chair for long sessions!